Dr. Plone has 30+ years of experience providing psychological services to varied populations. As a Certified Clinical Child Psychologist, she is highly qualified in many aspects of parenting and child guidance counseling for parents. My greatest strength, I’ve been told, is that I help clients feel HOPEFUL! 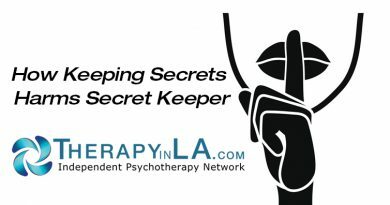 Working together in that intimate, confidential endeavor called psychotherapy – my clients discover new strengths while making decisions to improve their lives. Providing a safe place for each person includes privacy, so trust soon develops as we discover together the changes clients wish to make. Respecting privacy includes holding myself to the highest standards of ethics, with complete confidentiality reigning supreme. Since the therapy relationship is one of the most important connections one can ever make and is impactful in significant ways, I invite you as a potential client to explore with me whether or not we have a good fit. If not, let me guide you to the right therapist for you. “To love and to work”: while originating with Freud, these words echo from many theorists. They have been woven into the writings and teachings of every psychological orientation, and are well learned by therapists as the main concerns of us all. Relationships and work lives (or lack of either) become the focus of most clients’ concerns. Feeling a strong commitment to easing the stress that clients present, I’m grateful for the unique tools I’ve learned over the decades such as E.M.D.R. (Eye-movement, Desensitization and Reprocessing) which heals trauma of any type. Specialized training in Money Therapy is another tool that has brought individuals and couples clarity about this formerly hidden aspect of consciousness, helping with both marital and parenting issues, both of which often involve conflicts about finances. Totally dedicated to the challenges of my work as a psychologist, I remain deeply touched seeing my clients heal as they enjoy more satisfying lives, both in relationships and careers, sometimes after only a brief course of psychotherapy. WHAT IS MONEY THERAPY AND HOW CAN IT HELP?